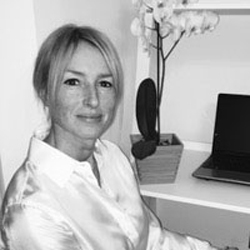 I completed a science psychology degree in 2004, then trained as an integrative psychotherapist in 2016, I am a registered member of the BACP (British Association of Counselling & Psychotherapy) and an approved therapist with the charity ‘Anxiety UK’. I also completed a masters in counselling and psychotherapy furthering my interest in the academic world of psychology. As an integrative therapist, I do not draw on just one type of therapy style – instead, I am trained to use several techniques. This allows me to work with different skill sets depending on your concerns. The integrative approach is based on the principle that we are all different; therefore counselling needs to reflect this. Additionally, different problems call for different approaches; some concerns need a structured intervention, whilst others need a more explorative approach. Essentially, we can work together to decide which would suit you best, depending on your concerns and your preferred method of working. This reflects my philosophy that counselling should always be a collaborative effort. I have previously volunteered as a bereavement counsellor within a palliative care unit after completing bereavement counselling training with the NHS. I have a particular interest in Cognitive Behavioural Therapy – a type of therapy that looks at how we may change our unhelpful thought patterns and therefore the unhelpful behaviours associated with them. Lastly, having spent 20 something years in the corporate world, I have seen first-hand how a stressful lifestyle can lead to a sense of imbalance. Often life happens at a pace faster than we can process it, and in addition to busy schedules and pressure to succeed – issues such as anxiety, depression, lack of confidence, troubled relationships, and bereavement can make it much harder to cope. Counselling is a useful tool from which we can make sense of our chaotic lives and restore a sense of balance.